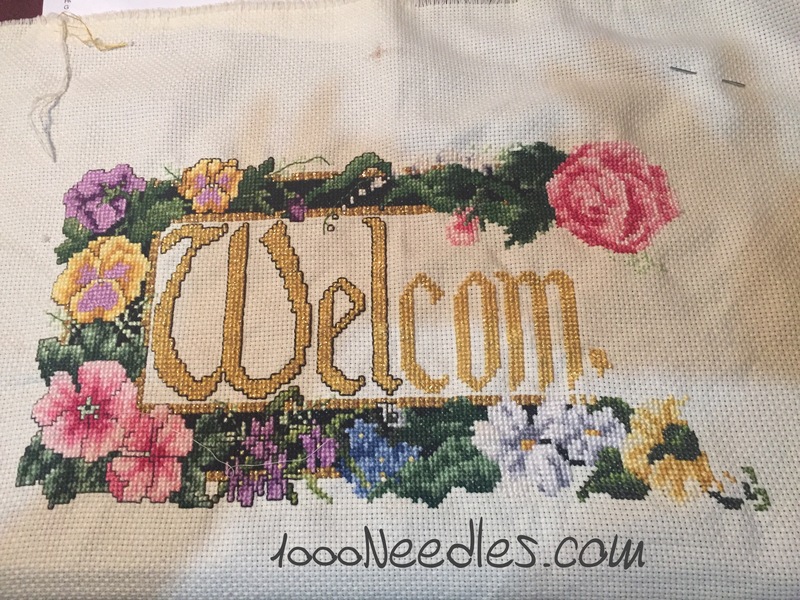 I was able to get a little bit done on my cross stitch project since my last post. Here’s what it looks like now.. Thanks Maia for the instructions on how to clean the weird looking stuff on my project. I still can’t bring myself to take a picture. I haven’t yet tried to do anything with it. Is there any rush? 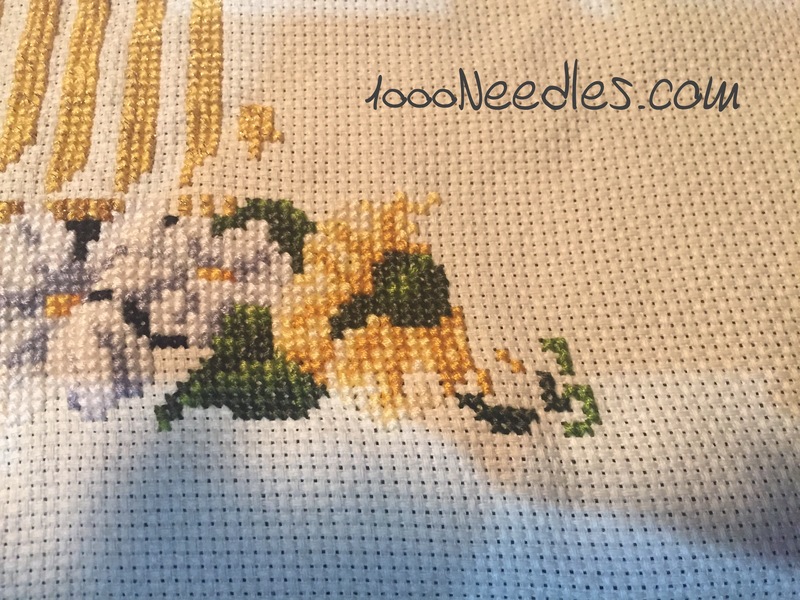 Once I’m done I’ll work on getting it cleaned up. 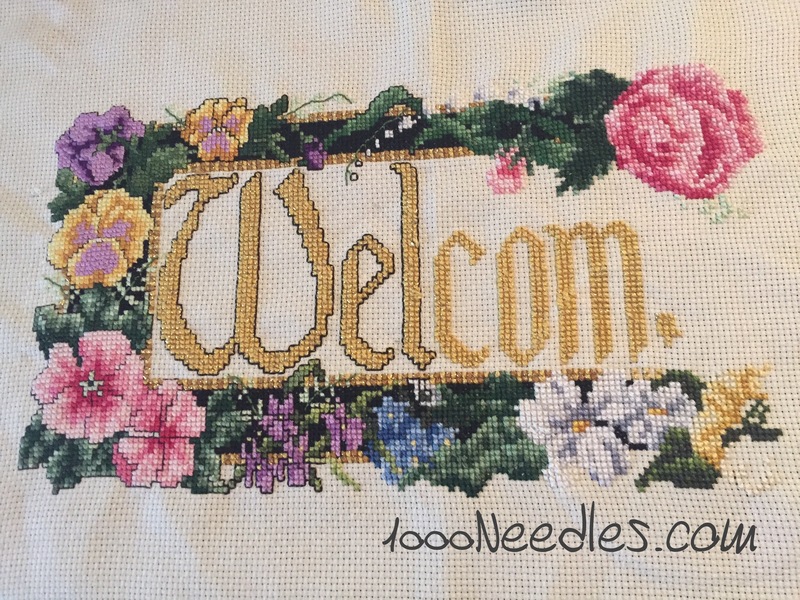 My Goal for 2016 for cross stitching is to get the “welcome” project done and get started on the farm scene…. I hope so too Maia. You are closer all the time!